Are you an all-seasons, celebrate every holiday kind of person? Then let the Arkansas weather paint the backdrop of your dreams. With the occasional white Christmas and long, lazy summers, you’ll find the seasons are mild enough to enjoy, but dramatic enough to change the landscape. Love local produce in the spring time? How about hiking in the summer? Or collecting fall leaves in the fall? Yes, yes, and yes. From the Ozarks to the forests and everything else in-between, Arkansas is surrounded by natural beauty. Known as “The Natural State”, Arkansas offers more than 600,000 acres of lakes and 9,700 miles of streams and rivers. Thanks to its awesome four seasons and southern location, you’ll find heaven on earth truly does exist. And it’s been hiding in Arkansas all along. One of the least expensive states in the U.S., Arkansas has everyone living like a king. A low cost of living has transplants flocking to this hidden gem where their dollar goes further without sacrificing quality. Residents in Fayetteville only spend about 25% of their income on living expenses. That’s more in your pocket and less stress in your mind. Paired with the low cost of living is the incredibly affordable housing. With low property tax and a median home price of $114,000, you can upgrade your quality of life without breaking the bank. Finally buy that dream home and sleep comfortably knowing you’re living within your means. We know what you’re thinking: a low cost of living means low wages and less jobs. Wrong. Arkansas is the 5th fastest growing metropolitan area in the U.S. From agriculture to manufacturing and transportation, there’s no shortage of industries in “The Natural State”. This means you’ll make a decent wage while spending less on your bills. While Arkansas’s economy is booming and more and more Americans are flocking to the state, it’s done little to effect their traffic. Or should we say non-traffic since the average commute even in metropolitan areas is 15 – 20 minutes. Sure, you’ll have less time to listen to that podcast on the way to work, but you’ll add time to sleep in, take a long shower or finally grab that Starbucks on your way to the office. Florida and Arizona, eat your heart out. Arkansas is where it’s at. Little Rock now ranks 61st best places to retire. Thanks to the low cost of living, stunning beauty, small population sizes and four beautiful seasons, Northwest Arkansas is the new hotspot for retirees. Because Arkansas is the eternal middle child of the U.S., the population is relatively low. Despite having so much more to offer than its neighboring states, there’s still has room to accommodate everyone. That’s what makes this a highly sought after destination. If affordable land and smaller crowds aren’t enough to move you to Arkansas, then we don’t know what is. 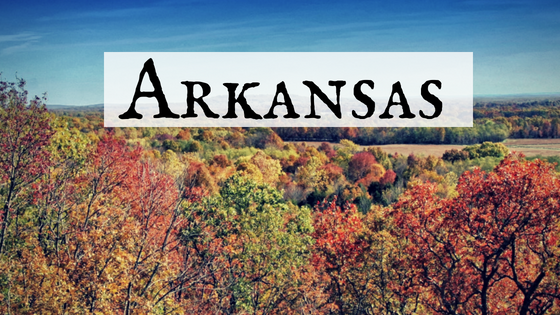 With the perfect blend of beauty and affordability, Arkansas land can’t be beat. And the best part is, LandCentral and Arkansas go way back. Check out these amazing Arkansas land deals. Reserved for those looking to lose themselves in the beauty of this glorious state.